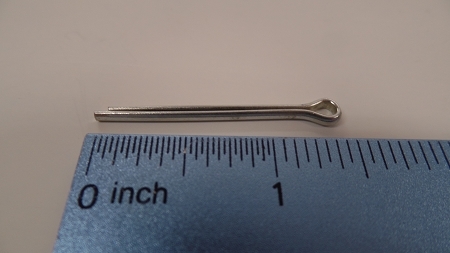 Cotter Pin, 1 1/4"L x 3/32"
Zinc-plated steel pin used to fasten hinges, wheels, etc. Can be easily bent with a pliers. Multiple uses!